One of the simplest, yet most effective training aids for any baseball pitcher is a radar gun. At one point in time, I was actually against having youth baseball pitchers use a radar gun too often and focus on velocity, but I actually think that there are a few great benefits. And with recent advances in technology of radar guns, people can easily get an affordable pocket-size radar run, like the Pocket Radar, to use at home. One of the key differentiators I see between amateur and professional baseball pitchers is often just intent. What I mean is, our pro ball pitchers tend to throw with much more intent than our younger pitchers. Sure, this could be that pro ball pitchers are older, bigger, and stronger. But intent isn’t just an output of mass and strength. It’s also an output of intensity, which is something many youth need to learn. Even in our sports performance programs at Champion, our early focus with people new to training is developing intent when training. So while I don’t necessarily want our amateur baseball pitchers focusing solely on velocity, I still think there are a bunch of great uses of a radar gun during training. Here are my top 3 ways baseball pitchers can use a radar gun to enhance performance. Have you ever used a radar gun to check your velocity? No matter what your velocity was on the first throw, what did you every time on that second throw? Try to throw harder, right? Of course you did, we all do! We know that using external feedback and knowledge of the results in the sports performance world helps increase power output. For example, in one study using external feedback of results was shown to help improve vertical jump performance. In a 2014 study the Journal of Human Movement Science, it was shown that using feedback of vertical jump height performance results in an immediate increase in vertical jump performance, as well an 18% improvement in jump height over a 4-week training period. One way that we apply this knowledge with our baseball players is with medicine ball power drills. In this video, you can see we are using a radar gun set up to monitor the ball velocity. The athlete is encouraged to ramp up his intensity on subsequent throws until he reaches his maximum velocity. We’ll record this and try to improve over the course of his program, just like we would by recorded weights during his lifts. Monitoring the number of throws performed or pitch counts during a game is important, and something that we have shown to correlate to predicting both injury and performance. However, using the quantity of throws on its own is too simplistic. Overuse is more of a combination of quantity and intensity. Compare one player playing light catch for 30 throws versus another long tossing for 30 throws. Which one do you think was more stressful on the body? By using a radar gun, you can document and build gradual progressions more appropriately. Distance becomes less of a factor, and intensity becomes more specific. Here’s an example of how we use a radar gun to ramp up a throwing session. In this video you can see a few throws that slowly ramp up to the max intensity that we want that day. The athlete then does his best to remain right around that velocity to get his work in for the day. Using a radar gun to help improve pitching velocity is probably the most obvious. When it comes to actually training to enhance pitching velocity, it has been shown that if pitchers know the speed of their pitch during their training, the have a larger increase in velocity. In a recent study in the Journal of Human Kinetics, it was shown that if players were able to see their throwing velocity, the players were able to enhance their velocity by 4x more than if they did not know their speed. That’s pretty amazing to me, and based off the same mechanisms of motor learning discussed above. Another past study compared the throwing velocity of youth when instructed to “throw the ball hard” vs the same instruction with radar gun results. Again the study showed that simply instructing the athlete to throw the ball hard does not increase velocity as much as when they can visually see the results. In another interesting study in tennis players, it was shown that training for 6-weeks with feedback of serve velocity had a significantly greater improvement in velocity than a group that did not know their results. But what is most interesting, is that this same group stopped training with external feedback of their velocity and still showed that the velocity improvements were retained 6 weeks after the program. What this could mean is that training with the knowledge of your velocity not only helps motivate you to throw harder, but perhaps also trains you to continue to do this even when external feedback is removed. So while I don’t think amateurs players should always be focusing on enhancing their velocity, I do think there are a few good reasons why the should focus on knowing their velocity. Just like anything else, is the focus is on what is more important, a radar gun can not only be helpful to enhance performance, but also to control and monitor workload. What Radar Gun Should You Use? There are a few options when looking at purchasing a radar gun. As you can see from the above examples, I value the convenience of having one on me. So I value one that is portable and easy to use. I’ve personally been using the Pocket Radar and think it’s perfect. We’ve compared it to the more expensive guns, and it’s always just as accurate, but so much easier to use. The new Smart Coach model is awesome, it can connect to an app on your phone or tablet via bluetooth, or even an external display. This is what we’ve been using at Champion and everyone has loved it. Note from the Editor-in-Chief: We love long toss at Elite Baseball Performance, especially programs that are smart, individualized, and well structured for the right time of year. Alan Jaeger has done a lot of great work in this area and has really helped popularize long toss in general. Dale does a great job discussing some of these concepts and points he uses to get the most out of long toss below. If you are interested in learning more, we encourage to learn more from Alan’s Thrive on Throwing 2 program and be sure to check out his J-bands for your arm care program. In baseball, there is no substitute for a well-conditioned and healthy arm. Virtually no baseball specific activity can be done successfully if you have a weak or an injured arm. You can’t make accurate throws if you’re an infielder, you can’t gun down a runner from the outfield, and you certainly can’t pitch well. I’ll say it again: the bottom line is that a baseball player needs to have a strong, conditioned and healthy arm to play the game. It can be the deciding factor as to whether a player moves on to the next level. When Should a Player Implement a Long Toss Routine? When a player is in the offseason, there are no demands of games or practices giving players the freedom to follow a sound throwing routine. This freedom allows players to throw based on their own personal needs and work on specific mechanics. Also, in the absence of excessive game related throwing, the player will be better able to recover adequately between sessions. When a player is in season, bullpens and game-related throwing put a tremendous amount of wear and tear on the arm. It has been shown that arm strength, more specifically rotator cuff strength and scapular stabilizer proficiency, actually decreases over the course of the season. Because of this, we don’t want to add any excess stress on the arm during the season. A long toss session can be broken into two phases: the stretching-out phase, and the pull-down phase. This is the first stage of a long toss session where our goal is to let the arm stretch itself out with a loose arm action. Here we are allowing our arm to throw as far as it wants to throw while keeping throws pain free and effortless. Be aware of keeping sound mechanics. The goal of this phase is to “stretch out the arm,” creating a greater capacity for arm speed using a longer, looser arm motion. Progressively throw farther and farther until comfortably maxed-out in distance. After peaking in distance, we’ll start the pull-down phase. After reaching maximum distance during the stretch out phase, we will work back in towards our throwing partner. Because the muscles have been lengthened and the arm has been adequately loosened, we have a greater capacity for the arm to generate speed. As you come in, you will notice that it will take a great deal of concentration to pull your throws downhill and not sail them over your partner’s head. If you decelerate or ease up on your throw to gain this control, you cannot effectively increase your arm speed. To pull your throws down to your partner, we will have to accelerate through your release point by taking your maximum effort throw toward your throwing partner. We want to focus on maintaining good balance and creating downward extension through your release point towards your target. The number of throws during the pull-down phase will vary from player to player. A general rule of thumb is to come in 10 feet at a time with each throw. Arm speed and endurance comes from the combination of both phases. The additional distance provides the arm with an opportunity to generate more arm speed on longer, looser and well-conditioned muscles. Now that we’re clear on what a long-toss session looks like, let’s discuss some ways to maximize your training effect. Warm up properly using a dynamic warm up. Always maintain sound throwing mechanics. Don’t let your mechanics degrade by overthrowing. Keep your throws loose and nearly effortless. You should not be straining to reach your target. If you max out in the stretching-out phase in terms of distance, don’t worry, just stay at that distance and continue to work there until your arm allows more. Remember, the end point of your throwing distance should still see a nice controlled throwing motion with your normal mechanics. Remember that the goal of a long toss program is to progressively build arm strength through increasing distance. Let your arm dictate the number of throws that you perform at each distance. If you feel strong, feel free to throw a few extra, but remember: if at any point you feel sore or fatigued, stop throwing. You should never throw through fatigue and certainly not through soreness. When returning from max distances to throw from 60 feet, concentrate on finishing through your release and forcing the ball down – it is easy to miss high. Use a step behind before every throw. It keeps the hips properly closed preventing the arm from flying open too early, especially as you stretch out to longer distances. Add a second crow-hop if necessary to build momentum. Starting a long toss program early on will help you develop a unique understanding of your arm that will pay big dividends for years to come. Get to know your arm now and put yourself ahead of the competition. Perform a cool down. Gently stretch and perform a post-throwing mobility routine to help speed up your recovery and maintain muscle tissue quality. Even the strongest arm is vulnerable to serious injury if not properly cared for with functional rotator cuff and scapular stabilization exercises. By neglecting the importance of a rotator cuff strengthening program and an adequate throwing warm up routine, you are pushing the odds in the favor of injuring yourself at some point. Elite Baseball Performance has a great free arm care program designed to build your base strength. Without the opportunity to long toss, the arm won’t gain the strength, length, and endurance it needs. Following a quality arm care and long toss regimen will pay dividends in the long-run. Use the guidelines in this article to have better long toss sessions and build arm strength for years to come. I recently shared a video showing how I recommend baseball players get your arm loose when playing catch. I discussed that one of the biggest mistakes I see baseball players make is throwing too hard too early when playing catch. If you haven’t watched it yet, click here to see my past post on The Biggest Mistake Baseball Players Make When Playing Catch. In this past video, I demonstrated how to stretch your arm out with long toss but starting to throw harder on a line. When getting your arm loose, you need to let distance dictate your intensity before you start throwing harder on a line. A simple concept, but something that many amateur players do not perform well. More importantly, this is a common trait I see in players with sore arms. They simply don’t know how to play catch well to get their arm loose. But how do you do this indoors? In the video below, I show the same concept, but how you can apply it when throwing indoors into a net. Want our FREE Arm Care Program? Our mission at EBP is to provide the best and most trustworthy information. That’s why we now are offering Mike Reinold’s recommended arm care protocol for absolutely FREE. A proper arm care program should be one of the foundations of injury prevention and performance enhancement programs. The EBP Arm Care program is the perfect program to set the foundation for success that EVERY baseball player should perform. For many years I’ve been asked a number of questions about “when” and “how” pitchers should train in the off-season to best prepare for their upcoming season. Because there are so many variables in each case, it’s not usually a short answer. That’s because each pitcher has their own unique history. The integration of their off season throwing program into their season. Knowing when to shut down after a demanding period of time and how to best prepare the arm in the off-season is the key to maximizing a pitchers health, strength, endurance and recovery period in season. Without well timed rest and a clear intention of how to best prepare the arm in the off-season, pitchers may wonder why they are lacking endurance or velocity in season, or even worse, why they may be breaking down. When pitchers truly understands the importance of “resting” and “rebuilding” their arms over a substantial period of time (4-6 weeks) in the off-season without stepping on a mound, they will best position themselves to not only peak at the right time (beginning of the season), but maintain or even enhance their base throughout the season. The following article will discuss this concept. If you are interested in learning more, we have our brand new online version of our Thrive on Throwing 2 video where we show you exactly how to perform the Jaeger Throwing Programs, as well as a downloadable Year Round Throwing Manual that builds off this information and discusses how to best prepare your throwing programs throughout the year for optimal success. More information on these can be found below. Devise a plan that gives pitchers a chance to shut down and rest (minimum of 2-3 Weeks), and rebuild their arm for an additional 4-6 week period before getting back on a mound. It is very important to keep the pitchers off the mound because the arm is best developed by conditioning without any unnecessary demands on it during the rebuilding phase. In the case of a typical pitcher who just finished his summer season, he should typically take a minimum of 2-3 weeks off to rest (physical and mental) after he’s thrown his last pitch of the summer, and spend the subsequent 4-6 weeks to do nothing but “train” and recondition his arm. There is nothing more important than establishing this 4-6 week training window after proper rest. As you will see throughout this article, establishing rest at the right time, followed by the rebuilding or conditioning phase are the single most important factors in getting a pitcher into what we call a “positive cycle” that can last until the end of the season (Note: pitchers who begin their cycle in September/October may find it helpful to take another rest/rebuild period at the end of December. In that case, the rest period may only be a week and the conditioning period may only need to be 2 weeks because the base from the Fall/Winter is still relatively strong). Our philosophy is pretty simple — it’s of minimal importance as to “when” a pitcher is expected to throw his first bull-pen in the fall/winter, considering that the pitcher has the balance of the year to work off of the mound. What matters most is what the pitcher does in this 4-6 week window leading up to the first bull-pen, and understanding how to maintain or strengthen this base throughout the remainder of the Fall, Winter and Spring. Without the proper base in place by rushing your pitchers back to the mound is like worrying about putting a roof on a house that doesn’t have a structure in place yet. The desired rest period of the pitcher, along with the 4-6 week window of conditioning is the single most important factor in determining the pitchers health, strength, endurance and recovery period for the entire year (season) — or until that point in which he feels he needs another significant break (rest), and begin a new conditioning cycle. What we’ve found with the guys who have gone through our training program, and have been allowed to maintain their long toss (maintenance) program throughout the year, is that they have less of a need to have a significant rest or conditioning period throughout the year. But I would strongly recommend that every pitcher consider having a rest/conditioning period twice a year, even if it’s only for 2-3 weeks. The primary goal of our throwing program is to build an extremely strong base or foundation, progressively. Taking into consideration that a pitcher is coming off of an extended rest of 2-3 weeks, like anything else you would “build” in life, start off slowly and surely — walk before you jog and jog before you run. By not being in a hurry to “get in shape”, the muscles have a chance to stretch out more progressively, develop more efficiently, and recover more quickly. That’s why the first two weeks of our throwing program place such a huge emphasis on Surgical Tubing and the Stretching Out phase of Long Toss. Chief among all of our principles of our throwing program is the principle of “listening to your arm”. In essence, listening to your arm means to let it guide you — to follow it. As opposed to having a throwing program with a predetermined limit on how many throws you are to make, or for how many minutes you are to throw for, our philosophy is based on learning how to trust your arm by listening to it — allowing it to dictate the pace, amount, and distance of throws for that day. I love the metaphor of allowing your arm to take you for a walk. Since your arm is your lifeline as a baseball player, there could be nothing more important than being in tune with it. This is what happens when you learn how to listen to your arm and let it dictate the pace. Only your arm knows from day to day what it needs, and by eliminating predetermined restrictions on your arm, your arm will probably surprise you as to how many throws it wants to make each day, and how many times a week it wants to throw. The arm will tell you what to do from day to day, and even throw to throw. On days that you don’t feel great, try throwing through this feeling unless it is obviously a sign of pain. The reason I mention this is pitchers may often shut down early because of “false” signs. If the feeling doesn’t get better after a couple of minutes, or the pain is obvious, then shut it down. Ironically, the more throwing you do, the more you understand the difference between unhealthy feelings and a “good” soreness that you can throw through. Our off-season throwing program is based predominately on 4-6 weeks of Arm Care exercises (Surgical Tubing) and Long Toss. Again, it is crucial for pitchers to stay off the mound during this period. As you will see below, I have broken down our Throwing Program into 3 phases. Each phase lasts approximately 10-14 days. Naturally, if a pitcher is truly listening to his arm, these increments may fluctuate. Before each day of throwing, we have our guys go through a very thorough arm circle (forwards and backwards) and surgical tubing program. Just as you are getting your arm in shape progressively, similarly, you also need to build a base with your arm circles/surgical tubing exercises. Focus on stretching, flexibility, range of motion, freedom, breathing and proper technique when doing these exercises. Symbolically, your first 10-14 days of throwing should also follow this same mentality: stretching, loose arm action, range of motion, freedom, and so on. In this 10-14 day period, the goal is to build endurance and distance through the Stretching Out phase of Long Toss (Long Toss is broken down into 2 parts: Stretching Out as you move away from your throwing partner, and Pulling Down or Strengthening as you move back in toward your throwing partner). Stretching out means just that — maintain loose, relaxed arm action, put some arc on the ball and gradually move away from your throwing partner. Simply move away from your throwing partner each time you begin to sense that you are going to throw the ball over your partners head. Go out, each day, as far as the arm wants to take you that day — and stay at your furthest distance that day as long as your arm feels like it. There is no need to come back into your partner with any aggressiveness for the first two weeks of throwing — this will come in Phase 2, the Pull Down or Strengthening Phase. The goal of Phase 1 is to focus exclusively on “stretching”, hence the Stretching Out phase. Depending on the amount of time off you took at the end of your last “in-season”, and how strong your arm is, you may throw as little as 5 minutes at 60 feet or 10 minutes at 90 feet on Day 1. Again, always listen to your arm. Regardless of how far out you get on Day 1 or how much time you may throw for, if you go out virtually everyday for the 10-14 day period, and you are religious with your arm circles/surgical tubing exercises, your arm should begin to feel better with each passing day. Though Day 1 may only be 5 minutes of throwing out to 60 feet and Day 2 may be only 7 minutes of throwing out to 90 feet, by Day 8 or 9, you may be out to 250 feet or more for 20 minutes of throwing (again based on the arm strength of that pitcher). By Day 12, 13, 14, that same pitcher may be out as far as 300 feet or more for 30 minutes. It’s hard to put a number of throws on it, or a time or distance measurement, but from my experience, based on a pitcher that throws in the 82-90 range, he will probably start pushing 240-300 feet by the end of the second week. The beauty of going out each day without the demands of bull-pens, etc., is that a pitcher can enter into a new threshold simply because he is allowing his arm to open up most effectively. This is where many pitchers, who have never truly built their arm the correct way in the off-season, may have a pleasant surprise waiting for them. For these pitchers, and even pitchers who have been on a good throwing program, they often find themselves pushing beyond distances they thought they had in them. These further distances are critical to gaining flexibility, range of motion, extension, which in my experiences have led to looser/quicker arm action, explosiveness, freedom, increased velocity and endurance. For example, in the case of a pitcher who throws 90 mph but has never thrown beyond 120 feet or used surgical tubing, I could see where his 120 foot throw could turn into 300, 330, maybe even 350 feet over time. I’ve found that pitchers who can get out to 300 feet throw in the 88mph range, those who can get out to 330 feet may push the low 90’s and those who can get out to 350 feet are typically in the 93-98 mph range. The beauty of allowing the arm to stretch out without any aggressive throwing in Weeks 1 and 2 is that it best positions the arm for Week 3 and 4, which is the “pull down” or Strengthening Phase of the throwing program. This is where we bring a stretched out, well conditioned arm from Weeks 1 and 2 into the more aggressive and explosive throwing dynamic of the arm into weeks 3 and 4. Once the base has been built through the stretching out phase, the arm is in a great position to work from and strengthen this base through the Pull Down Phase of long toss. Because the first two weeks have created such a strong foundation, Weeks 3 and 4 deepen this base because each pitcher will actually go through the conditioning phase of Arm Circles, Surgical Tubing and the Stretching Out phase of Long Toss before the pull-down or aggressive throws that are made coming back in toward your throwing partner. Now that the arm is ready to take this stretched out feeling “downhill” with some aggressive throwing, the mentality shifts from one of uphill to downhill. Though we still want our pitchers thinking “stretch”, “loose” and “freedom” on their pull-downs, we want them to do it in an aggressive manner. We want them to come back toward their throwing partner 10 feet per throw or so, with the same dynamics they made with their furthest distance throw that day (e.g. 300 feet). We just want them to start getting downhill without decelerating their arm. We also want them to understand what it means to maintain a loose and relaxed arm action (loose and relaxed mind) as they make their way back to their throwing partner. In essence, they are not necessarily trying to “throw harder” — they are simply maintaining the effort of a 300 foot throw into shorter and shorter distances without decelerating their arm. For the first few days of Week 3, there may only be 10-15 pull downs after the pitcher has peaked out to his furthest distance on that given day. Depending on how well he did the first two weeks, it’s possible that he may want to make closer to 20-25 throws on his way back to 60 feet. Regardless, Week 3 and 4 are very personal. Each pitcher may respond differently. Some may throw a lot on the first day of their pull downs, and then only want to go out to 250 feet the next day and not pull down at all. Others may actually throw further distances the next day because the Pull Down phase actually opened their arm up even more, and they will have an even more aggressive pull down the next day. This is where listening to your arm is imperative. Once the base is built from Week 1 and 2, your primary goal is to still condition in Weeks 3 and 4. If the arm is not ready to pull down in Weeks 3 and 4, continue to build distance and endurance. In fact, a good rule of thumb is to not even think about the Pull Down phase until you are comfortably throwing what feels like your max distance, and you are able to stay there comfortably for 5-10 throws. Things to look for in Weeks 3 and 4 are pacing and recovery period. Since you are not throwing off a mound, you should have relatively good recovery period. For example, the more you throw, the more you arm will probably want to throw. This doesn’t mean to push it beyond it’s means on any given day (Rule #1: ALWAYS listen to your arm). But if you feel like only stretching your arm out one day, or just throwing 150 feet, or not throwing at all on a given day, than do so. Again, from my experience, the more you throw after building the base right, the more the arm seems to want to throw. For some players, that may mean stretching out and pulling down nearly everyday for Weeks 3, 4, 5 and 6. For others, it may mean stretching out and pulling down only 3 days a week. For others, it may mean stretching out 6 days a week, and pulling down 2 days a week. Again, your arm will dictate it’s own needs to you. Your job is to put it in a position where it can best maximize it’s potential — and I can tell you from a lot of experience that this usually happens when you are doing more throwing, rather than less. If you needed more than 2 weeks to build your base, than Weeks 5 and 6 essentially become Weeks 3 and 4 for you. I’d almost prefer it this way because it’s better to spend the extra 2 weeks of deepening your base than it is to get to the pull down/strengthening phase after 2 weeks of conditioning. Considering that you have the rest of the off season and in season ahead of you, it’s far better to take the extra time and insure that your base is deep and strong. It’s like opening up a bank account with a million dollars in it and making deposits all year long, rather than opening up a bank account with a thousand dollars and making withdrawals right away. For those pitchers who have been pretty aggressive in weeks 3 and 4, weeks 5 and 6 are considered to be “more of the same” throwing. Because you are staying off the mound, don’t be surprised how often, and how long your arm wants to throw. For example, you may begin to notice that 20-30 minutes of throwing has turned into 30-40 minutes of throwing on certain days. You may find that 250 feet has turned into 300 feet and 300 feet has turned into 330 feet or more. In any case, the things you should begin to notice is that your endurance is getting better (conditioning), your arm is feeling consistently stronger (conditioning) and your recovery period is amazingly good. Once your foundation is built, the remainder of the year becomes one of maintaining this foundation, and even strengthening this foundation. What you do after this six week period may differ from pitching coach to pitching coach, but if you’ve “built” your arm correctly, and are in tune with it through this off-season throwing program, than you will probably want to maintain some form of distance throwing throughout the year. A simple rule of thumb is to get in at least 2 good days of long toss during the season, and these days tend to be most optimal on your bull pen/game day (if you are a starter). The reason for this is that the arm tends to respond better on the mound after a good long toss session — it’s been trained for it. Velocity seems to come more quickly — endurance seems to last longer — swelling is minimized. Also, long tossing on bull-pen/game days is effective because the rest of the days of the week can be used for rest, recovery and rebuilding. Regardless, if you are in tune with your arm, it will tell you from day to day what it wants to do that day…what it needs to do that day. Though most throwing programs are formatted so a pitcher has structure throughout the off-season, our throwing program places more responsibility on a pitcher listening to his arm. Though it would be convenient to tell pitchers to make “x” amount of throws for “x” amount of minutes each Monday, Wednesday and Friday for six weeks, this can be very limiting to the pitchers development. In a sense, our programs structure is to be structure-less. This doesn’t mean reckless abandon. Quite the contrary. It means to abandon those contrived restraints that prevents the arm from being built the most effective way — by allowing the pitchers’ arm to dictate the amount of throwing rather than following someone else’s pre-determined format. Only the arm knows from day to day, what it wants and what it needs. And that’s we want our players to ultimately learn to do….know their arm. Though the first principle of the article was to “listen to your arm” and allow it to guide you from day to day, there are still a number of players and coaches that feel more comfortable with having some form of structure or guidelines to follow — some players simply respond better to having structure and some coaches find it more efficient to have a standardized program that everyone can follow. You can see my whole throwing program in my new online version of the Jaeger Year Round Throwing Manual. Finally, remember that the bottom line is to listen to your arm. How many throws you make at each increment is dependent on how your arm feels. How far you go out, or how fast you come in may vary from day to day. Your job is to put your arm in a position to throw as often as possible, with awareness and sensitivity to your arm, in order to progressively build a strong base. This mentality is what optimizes your ability to insure health, strength, endurance and improved recovery period. For those interested in learning more, we have teamed up with Elite Baseball Performance to offer a brand new online version of our popular Thrive on Throwing 2 video. In this program, we teach you exactly how to perform a proper arm care, warm-up, long toss, and pull down program to maximize your arm. We also have a more detailed Year Round Throwing Manual that builds off this article in much more detail and shows you exactly what to do for a throwing program throughout the entire year. Over my career, I’ve been fortunate to work with a wide variety of baseball players. I’ve worked with everyone from youth to MLB Cy Young winners, and I’ve also worked with hundreds of healthy and injured baseball players. I have found that many baseball players make the same mistake when playing catch, and I think this mistake can cause a lot of soreness, decreased performance, and maybe even injury down the road. But more importantly, I’ve found that most big leaguers do NOT make this mistake and most injured players DO make this mistake. The mistake is simply that they start throwing too hard too early. I can’t tell you how many times I’ve started a throwing program with someone coming back from an injury and their first few throws are near max effort at my knees from 45 feet! Throwing a baseball is such a dynamic activity, it’s very stressful on the arm when this happens. It’s the equivalent of waking up, getting out of bed, and then immediately running sprints. You’d never do that, you’d maybe stretch out, go for a jog, then start sprinting. Let distance dictate your intensity. This is very similar to Alan Jaeger’s concept of stretching out and compressing on the way back in when long tossing, but something I apply to any throwing situation. The arm needs to get ready for the upcoming demand. Luckily, this mistake is easy to fix. Watch my video below to learn how. I discuss this common mistake and how I teach baseball players to warm up their arm. A recent study out of Wake Forest in the Orthopedic Journal of Sports Medicine looked at the perceived definition of a long toss program by pitchers, pitching coaches and athletic trainers associated with Major League Baseball. The ultimate goal was to see the differences, if any, in how players and teams incorporate these programs into daily programs, including rehabilitation. The study showed that long toss distances were longer if utilized by the pitcher or pitching coach compared to when an Athletic Trainer employed the program. Also, there was considerable variation in throwing mechanics when throwing on a line and when the athlete would utilize a crow hop. One possible explanation between these differences may be that players performing a long toss program designed by an athletic trainer were likely rehabilitating back from a pitching injury, while pitching coaches were just performing daily long toss between outings. The results of this study show that there is considerable variation in the use and rationale behind a long toss program. Players, coaches and athletic trainers need to understand the implications and demands of a long toss program in order to maximize their use between starts and in the rehabilitation setting. It may be most beneficial to use multiple variations of long toss programs that best suit the athlete and the goals of the throwing program, such as one form for rehabilitation and another for healthy players. Background: Despite widespread use of long-toss throwing in baseball as a component of arm conditioning, interval throwing programs, and rehabilitation, long-toss distance and throwing mechanics remain controversial. Purpose: To ascertain the perceived definition of long-toss throwing through a survey of professional pitchers, pitching coaches (PCs), and certified athletic trainers (ATCs) associated with Major League Baseball. Study Design: Descriptive epidemiology study. Methods: Pitchers, PCs, and ATCs associated with 5 Major League Baseball organizations completed an anonymous survey that collected demographic data, personal use of long-toss throwing, and their perception of the distance and throwing mechanics that comprised long-toss. Results: A total of 321 surveys were completed by 271 pitchers, 19 PCs, and 31 ATCs. For all respondents, the mean distance considered as long-toss was 175 ft (95% CI, 170-181 ft). Respondents categorized the throwing mechanics of long-toss, with 36% reporting throwing “on a line” and 70% reporting long-toss as “not on a line.” Of those throwing “on a line,” 28% reported using crow-hop footwork while 60% used crow-hop footwork when throwing “not on a line.” Interpretation of long-toss distance significantly varied by position: pitchers, 177 ft (95% CI, 171-183 ft); PCs, 177 ft (95% CI, 155-200 ft); and ATCs, 157 ft (95% CI, 144-169 ft) (P = .048). When asked when long-toss throwing is used, pitchers reported using it more frequently in preseason (P = .007), during the season (P = .015), and in the off-season (P = .002) compared with that by ATCs. Functional goals for long-toss throwing demonstrated that pitchers and PCs use long-toss for shoulder stretching more frequently than ATCs (P < .001 and P = .026, respectively). ATCs used long-toss more than pitchers for interval throwing programs (P < .001). Conclusion: The definition varies for long-toss throwing distance and throwing mechanics. Pitchers and PCs believe that long-toss comprised longer distances than ATCs and employed long-toss differently for strength conditioning, training, stretching, and rehabilitation. This discrepancy highlights a potential lost opportunity for protecting the shoulder. While long-toss is an important tool, a more scientific definition is warranted to better elucidate its role in enhancing throwing performance and rehabilitation. A common concern we often hear at Elite Baseball Performance is pitchers not knowing what to do for an inseason throwing program. We recently discussed how to perform a throwing program to prepare for the season. If you’ve followed our recommendations and built a proper foundation of arm strength and endurance in the offseason, a correctly performed inseason throwing program will continue to facilitate a healthy arm. Once the pitcher has built his pitch count leading into the season, I would assume that by the first game of the season, the pitcher is now in a position to throw 60-75 pitches or the equivalent of 4-5 innings, and 75-90 pitches by his second game. The key here is that the innings have been increased by maintaining a Long Toss program throughout the week. What has changed inseason is that the pitcher will learn to adjust the Long Toss program based on how many pitches they’ve made in a game, and how much recovery period they have until their next outing. This is where inseason training gets a little tricky based on whether or not you are a starter or a reliever. So to address the inseason training mentality for both starters and relievers, I’m going to break them down into two categories. This way, whatever your role is as a pitcher you will have a clearer understanding of how to keep your arm in optimal shape throughout the year. The following article will discuss how to develop an inseason throwing program. If you are interested in learning more, we an online version of our Thrive on Throwing 2 video where we show you exactly how to perform the Jaeger Throwing Programs, as well as a downloadable Year Round Throwing Manual that builds off this information and discusses how to best prepare your throwing programs throughout the year for optimal success. More information on these can be found below. While relievers have to play with unknown variables as to when and how much they are going to pitch from day to day, starting pitchers have it much easier inseason. Starting pitchers know exactly what day they are throwing each week and therefore can plan the other six days (amateur) or four days (professional) around their game day. For this reason, setting up a starter with an inseason routine is much easier than a reliever. To make this routine very simple to follow I’m going to pick “Monday” as the reference point as to when you are scheduled to start your game. By establishing our “game day,” we can then focus on how we maintenance (cycle) the arm back in shape most effectively for your next start, the following Monday. Game day is ironically your best Long Toss day inseason because you’ve had six days to rest, recover and rebuild leading into your game day from your previous start. As a simple example, if you have been long tossing out of season in the 250-foot range, then that’s about how far your arm is going to want to stretch out to the day of your start. In essence, your game day is very similar to your best offseason long toss day, except that you may cut down on the amount of throws you’re making in both the stretching out (going out away from your partner) and pull down phases of Long Toss (coming back toward your partner). If you feel like cutting a little distance out of your throwing (especially if it’s later in the season) or you feel like cutting down on your aggressive throws coming back in toward your throwing partner, that’s fine. But if you conditioned your arm well throughout the off-season, your arm is going to want a pretty thorough long toss session the day of your start. Depending on how many pitches you made, Day 1 is all about blood flow, range of motion and “stretch throwing.” If you threw 90 pitches the day before you may only want to go out to 90-120 feet of really low impact, light catch. If you only threw 50 pitches, your arm may want a distance closer to 150-200 feet. Again, the priority is RECOVERY. The focus is on positioning the arm for the next day, and in fact, the next start. There should be little to no “downhill” or aggressive throwing on Day 1. Ironically, Day 2 is when most pitchers are the sorest after a start. Thus, Day 2 is often a continuation of the stretch out, low impact mentality. Again, keep in mind that your arm is going to tend to have a tremendous recovery in general due to your off-season throwing program, but to be safe, I tell players to let the arm breathe again on Day 2. Again, I would suggest minimizing downhill or aggressive throwing unless the arm tells you differently. Day 1 and 2 have now set you up for a more normal Long Toss session on Day 3. This is the beauty of having a 7-day routine — you can use an extra couple of days to recondition your arm inseason. The arm is positioned on Day 3 to both stretch out to it’s normal Long Toss distance and to pull down relatively aggressively. How far you go out again depends on the individual, but for someone who throws 85mph, your probably looking at about 250 feet. Harder throwers again are looking at 300 feet or more. So we’re both extending the arm on Day 3, and we’re beginning to integrate the pull-down or aggressive phase of Long Toss. The key here is to still use Day 3 as a conditioning day and to prep for Day 4, which is your bullpen day. Now that you’ve used the first three days after your start to do nothing but progressively and effectively build the arm back into shape you are now set up for your bullpen day. The key here is to not “save your arm” by minimizing your throwing before the bullpen. It’s actually to do the opposite. You have set your arm up for another great Long Toss day, and that is your priority. Again, your bullpen tops off your workout as opposed to being the focal point of it. It doesn’t mean that you have to have an epic Long Toss before your bullpen, it just means to be sure that you have a pretty thorough Long Toss before getting on the mound. Remember, your arm is programmed now to condition before it gets on a mound, and that’s the way you want it to be. Day 5 is a bit like Day 1 after your start. You’ve been on the mound the day before, you’ve had a lot of workload leading up to this point in the week, so I advise pitchers to go lighter on Day 5. Again, listen to your arm, but you may find that you are only interested in a minimal amount of throwing, or you may find that you want to stretch it out to 120-150 feet without any aggressive throwing, or you may want another good day of stretching the arm out pretty far. This day is dictated by how you feel and the timing within the season. The day before any pitches start can truly be a personal preference. So, I always advise pitchers to do what’s comfortable. Some pitchers like to take the day off, some like to play light catch, and some like to stretch it out to about 75% of their max distance, but with little to no aggressive throwing downhill. It is the core principle of our program to listen to your arm, and this day is no different. Do what feels right. Now you can see how your “start day” is your best day to Long Toss. You’ve spent the previous six days resting, recovering and rebuilding in the most optimal and effective way. You’ve allowed the arm to progressively build itself back into shape and positioned it for what it wants most, a great Long Toss/conditioning session before getting on the mound. Because relief pitchers don’t have a set rhythm throughout the season, it can be a little bit harder to figure out when to Long Toss and when to rest from outing to outing. As you will find with our approach, “listening to your arm” is always the first principle to keep in mind because there are so many variables. For instance, you may have made 40 pitches in relief the previous day, or you may not have thrown in a game situation for a week. In either case, your plan should be to go out each day to do your arm care program and stretch your arm out. This sensation of stretching your arm out is what I refer to as “opening the door,” meaning, you are allowing your arm to get the benefits of stretching, blood flow and range of motion each day, regardless of whether or not you are pitching that day. What you’ll begin to realize is the arm wants to stretch out every day (unless it needs a total rest), and that some days the arm will want to stretch out further than others. In fact, if a pitcher has gone more than 3-4 days without pitching in a game, the arm will probably want to not only “open the door” to a long distance, but it will want to come back in toward your throwing partner and “pull down” aggressively just like an ordinary offseason Long Toss session. This feeling of wanting to “close the door” after some days off of the mound is essential in keeping your base strong throughout the season. Having an aggressive Long Toss session may be critical for your base even if you are going to pitch in the game later that night. Remember, the point is to “condition” first when the arm needs it. Besides, you will probably throw harder and have better recovery period even if you do get into the game on a night that you had a relatively aggressive Long Toss session. In short, relief pitchers should come to the field each day to “open the door” or stretch out the arm. How far, how long and whether or not you “pull down” aggressively depends on how much throwing you’ve done the previous day or days. The key is to always go out with the intention of stretching your arm out because, quite simply, your arm has been built this way from the off-season and it is looking to condition, even in season. Inseason throwing is just as important as throwing in the offseason. A proper inseason throwing program must build in both rest and recovery days, as well as long toss and pull down days. As always, the key is developing a program based on your role, starter or reliever, and most recent workload. One of the most important concepts when trying to prepare the arm for the baseball season is developing an appropriate offseason throwing program. It is important that any throwing program consists of a rest period after a long summer, followed by a rebuilding period to prepare the arm for the upcoming season. During the rebuilding period, it is important to stay off of the mound for an initial four week, base building period. The idea is that the better you build your base in the fall and winter months, the better you can maximize your health, strength, and endurance during the season. The key to optimizing the health, strength, and endurance of your arm inseason is significantly reflected by how well you can maintain this base throughout the offseason months, and then how well it carries over into the season. The following article will discuss how to transition your offseason throwing program into mound work to prepare the arm for the season. If you are interested in learning more, we have our brand new online version of our Thrive on Throwing 2 video where we show you exactly how to perform the Jaeger Throwing Programs, as well as a downloadable Year Round Throwing Manual that builds off this information and discusses how to best prepare your throwing programs throughout the year for optimal success. More information on these can be found below. After a pitcher has gone through the initial offseason phase of resting his arm and rebuilding his base correctly through among other things, arm care exercises and long toss, there are two more stages to go through before pitchers transition into the inseason training or maintenance phase. 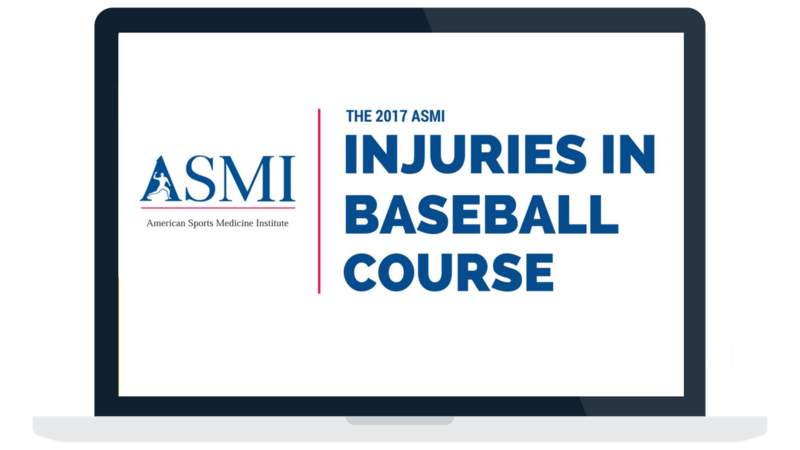 The goal of this article is to understand the importance of maintaining your base and optimizing your recovery time once throwing off a mound is introduced in the offseason. This is best accomplished by understanding that throwing off a mound is an extension of your Long Toss throwing program, rather than the primary focus. In other words, Long Toss is the key to your workload each day, and if you get on a mound, it is simply the culmination of your throwing program. As you will see throughout this article Long Toss is what most effectively replenishes the base and significantly improves recovery period after any form of “mound work.” Maintaining a strong base and optimizing recovery time are the key factors in optimizing health, strength, and endurance throughout the year. This article is written with this in mind. After the arm has had a minimum of 4-6 week offseason period to rest and rebuild without throwing off the mound, the pitcher is ready to begin to integrate bullpens into his throwing program. Because such a strong base was built from the previous phase, bullpens should have a dramatically less effect on producing arm soreness. The arm will recover faster, which in turn will allow the base to be minimally affected or “depleted.” This is a critical principle to understand because having great recovery is the essential ingredient to maintaining arm health, strength and endurance throughout the year. In the case of a pitcher who has extended his Long Toss to 5 days a week leading into his first week of bullpens, the main priority on bullpen days is for the pitcher to think conditioning and long toss first, and mound work second. Essentially, the bullpen is used to “culminate” the workout, rather than be the focus of the throwing that day. The idea is that when the arm can “stretch out” through Long Toss, it is most effectively prepared to throw off the mound. To put it another way, the focal point of each day is to condition the arm, and then use the bullpen for pitching specific skills, such as working on mechanics or getting used to throwing with the decline of the mound. Many coaches make the mistake of “saving the arm” for the bullpen by minimizing the amount of throwing on “bullpen days.” In my experience, this has the opposite effect on the arm — it is telling the arm to throw aggressively before it has been properly stretched out and conditioned. It’s like running only a mile each day to “save your legs” for a marathon at the end of the week. This mentality of “saving the arm for the bullpen” is the primary reason why recovery periods worsen, and the pitcher’s base becomes depleted. The same principle also applies to inseason bullpens and game situations. How often a pitcher integrates bullpens into the offseason months is a feel thing from player to player. But the bottom line is to integrate workload slowly and progressively into your bullpen sessions just as you worked slowly and incrementally into your Long Toss routine when you built your initial base. I would recommend two bullpens a week through the offseason months, separated by as many recovery period days as possible. For example, a Monday/Friday is an ideal format because you maximize your “off days” from bullpen to bullpen. These off days away from mound work allow the arm optimal time to recover and recondition itself for the next bullpen. The amount of pitches thrown in the bullpen and the intensity behind it again varies from pitcher to pitcher (and the workload that preceded it). The priority is that the arm is stretched out thoroughly through a Long Toss program before any mound work. Remember, the recovery period between bullpens is crucial because the better your recovery period, the more the arm is going to want to “stretch it out” from day to day. Stretching the arm out is what replenishes the arm. Having great recovery periods leads to what I call a “positive cycle” – a positive cycle because the arm wants to throw more rather than less from day-to-day because it feels good. Essentially, the arm can sustain it’s base throughout the offseason and into the season because bullpens and game action have a minimal effect on recovery period. If the recovery period between pens is poor, and the arm is unusually sore, the arm will need to rest more often, which further deprives the base from getting replenished. This is what we call a “negative cycle” which exposes the arm to breaking down. As you go through the offseason months, the primary goal is to stay in a conditioning mode as you increase the pitch counts in bullpen situations. As bullpens turn into game action, the principle doesn’t change. Bullpens and game situations are interchangeable. So if you throw a bullpen or pitch in a game situation on Monday/Friday, your goal is to continue to Long Toss at least one other day of the week. Remember, your bullpen/game day are also relatively thorough Long Toss days. The idea with this offseason mentality is to keep the focus on Long Toss as you increase pitch counts for bullpens and game situations. Because a thorough Long Toss session is incorporated at least three days a week, the arm is best positioned to stay in a positive cycle through the end of offseason, despite the reality that pitch counts can elevate up to 45-60 pitches in game situations. Once a pitcher starts throwing bullpens in the offseason, he will find that the days he is going to throw off a mound are his best Long Toss days because he will have the most amount of recovery period days between mound work. With that said, it should be noted that the day after a pitcher’s mound work, Long Toss will probably consist of only the “stretching out” phase and the distance may only consist of about 50-75% of a pitcher’s normal distance. This is important to understand because Long Toss after mound work should be less aggressive with the focus being on “stretching” the arm out. If done right, the second day after mound work will lead to a more typical distance of Long Toss, and the “pull-down” or more aggressive phase of Long Toss can be added if it feels right. Remember, it always comes down to “listening to your arm.” Once mound work begins, your focus is on stretching the arm out each day. How far you go out and how aggressive you “pull down” from day-to-day depends simply on how your arm feels, and how good your recovery period is. Once the Winter Holidays come and go (this is traditionally a 2-3 week window) and players return to school, pitchers need to be able to spend at least two weeks off the mound to recondition their arm. For the same reasons why pitchers use the first 4-6 weeks in the Fall to stay off the mound to condition, players need to “rebuild” the base for the first two weeks without even thinking about mound work. This is essential to understand because these two weeks allows the pitcher to reconnect to the base that was built all offseason. Fortunately, because the arm was so well “built” in the offseason, it only takes a couple of weeks to “re-catch” the wave, especially if the pitcher spent the Winter break doing his arm care program and playing some form of catch. Once this two week period has been established the pitcher is ready to integrate bullpens and game innings into his throwing routine. This should come quickly. A pitcher should be able to go from throwing a 25 pitch bullpen in week 3 (late January/early February) to throwing 35 pitches in an inter-squad game by week 4. Naturally, because High School and College seasons begin at different times, how you integrate bullpens and game situations depends on many variables. The priority here is still about learning how to prioritize your conditioning off of the mound for two weeks after the Winter break so the base is reinforced and the recovery period is sufficient once mound work is reintroduced. Remember, once the Spring starts getting close, the tendencies are to ramp up the pitch count and prepare for game situations. This is an even greater reason to use the first two weeks for base building — otherwise, you may be putting the pitcher’s arm in harm’s way. Remember, the ideal way to maintain an arm inseason is to have a great base in place from the offseason. This offseason base is the key to having a great recovery period, which in turn allows the arm to recondition itself most effectively as mound work is integrated into the offseason months, and eventually into the Spring season. This ability to maintain good recovery periods and a Long Toss program as bullpens and game situations are integrated is the key to not only maintaining a healthy arm throughout the offseason but also to positioning your arm to get more durable and possibly even stronger throughout the season. Only it knows from day to day what it needs and what it wants. Because you have learned to condition and maintenance it so well the reality is you will probably find yourself wanting to stretch your arm out with Long Toss more often than you have in the past. But this is a great sign. It’s a reminder that the body responds best to activity rather than inactivity. The arm wants to regenerate, not degenerate. And when the arm gets into this “positive cycle,” the arm is in the best position possible throughout the year to stay healthy, strong and durable.